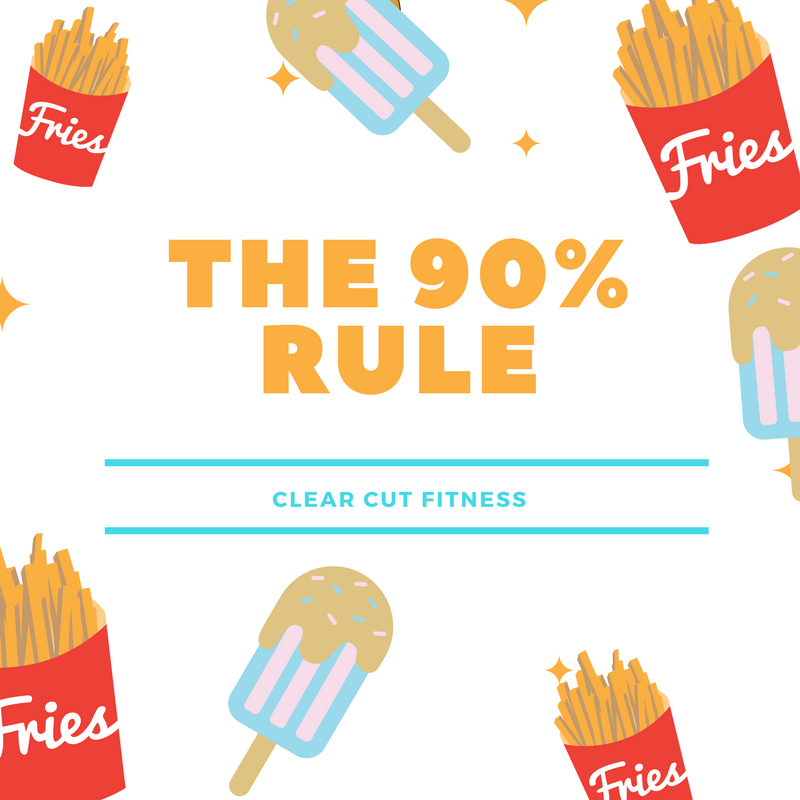 The 90% Rule is as simple and effective as it sounds. In terms of nutrition and fat loss, as long as you have about 90% adherence to your diet, you’ll still see incredible results. How do you determine what 90% is??? The easiest way to determine the percentage of adherence is to actually count your meals and whether they fall into the category of "your diet" or "cheat meal". Let's give you an example: Say you have 3 meals a day. That means 3 full days of eating within your diet is 9 meals. Technically, your next meal can be a cheat meal and you won't lose your hard earned gains. A more advanced way to calculate your 90% is if you track your calories and macros. In this case, you know what your target caloric intake is for the week. If you're within 10% of your target caloric intake is for the entire week guess what, you're still likely going to see great results and lose fat. This sh*t isn't that complicated, don't over-stress your diet. Take things one step at a time. Nothing in your diet needs to be totally restricted unless it's for medical reasons. Keep at it, have some fun, cheat up to 10% of the time (on your diet that is) and you're on your way to that vacation bod!